CLONLARA and St Joseph’s head into Sunday’s championship first-round game at Sixmilebridge with some concerns regarding the fitness of some of their players but come match time, both teams expect to have a full squad available. In Clonlara’s case, Paul Nihill has an ongoing ankle problem which saw him miss the latter stages of the Fitzgibbon Cup with NUIG. He has only played one league game for the club this season. Meanwhile, St Joseph’s have concerns about Seán Flynn, Shane O’Connor and Cathal O’Sullivan, all of whom picked up hamstring injuries in the team’s league outing against Broadford last week. Officials are keeping their fingers crossed that they will recover in time to play against last year’s finalists. There is also concern about the fitness of Mike McNamara who has struggled with a variety of leg injuries in recent years. Both managers said they are not looking beyond this fixture. “Of course, we want to get out of the group and into the play-offs just as all the other clubs do but right now, all we are focusing on is this week’s game. It’s a very tough group and Clonlara are an experienced team and they have played in the last finals. It will be a tough game,” according to Fergal Hegarty, St Joseph’s coach. “The big concern for us at the moment is the involvement of so many of our squad with exams but we hope to have the O’Donovan twins, John Conlon and Darach, back training this week after exams,” Clonlara boss Colm Honan said. “The involvement of so many of our players with different club teams and different county sides at this time is also a concern. We are just concentrating on this game as of now,” he said. Tiredness may, however, be an issue for Clonlara this season. They have had long seasons for the past three years while a number of their players have been involved with Clare at U-21 and senior level. That said, they are still favourites to win this week’s tie and should the O’Donovan brothers, John Moloney, the O’Connells, John Conlon, Darach Honan, Tommy Lynch and company manage to play to form, they should come out on top. St Joseph’s will not be without hope and they will be looking to Kenneth Kennedy, Cathal O’Sullivan, Kevin Dilleen, Darragh O’Driscoll, Seán Flynn and Ivor White to mention some. While they are sure to make Clonlara fight all the way, the champions of 2008 are still favourites. Gerry O’Grady and Alan Brigdale are major doubts for Crusheen ahead of their opening tie against neighbours Corofin. O’Grady is troubled by an ankle injury while Bridgale had a hip injury. “We are looking no further than this game. Looking any further is a very dangerous thing. Of course, it is our hope to pick up enough points in the group to gain qualification but right now, the concentration is on our match with Corofin,” according to team boss Michael Browne. Crusheen have promised a major breakthrough in recent years but the closest they have come to a first championship success was in 2007 when they got to the final against Tulla. Their results in the past two campaigns have been disappointing. A couple of years back, Corofin had a good run and reached the quarter-final stage but they disappointed last year. 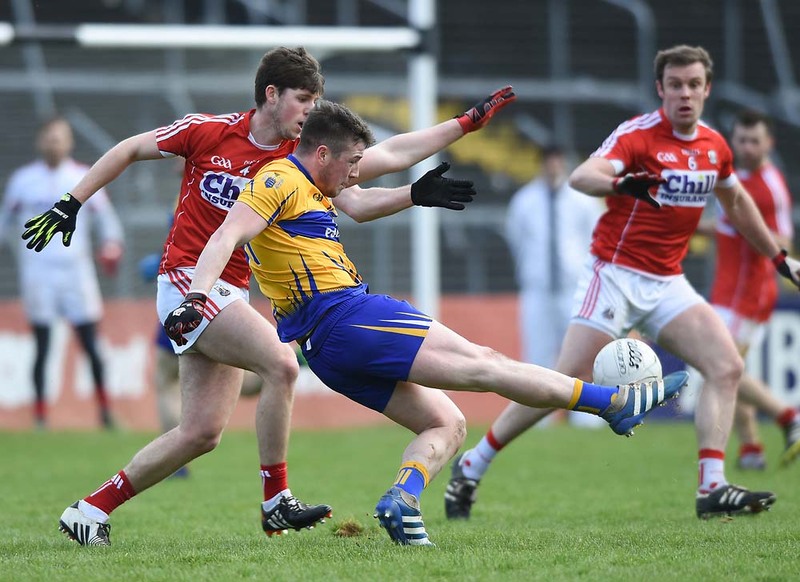 They have shown mixed form this season but as they put the finishing touches to preparations for this week’s tie, there are major doubts about the fitness of Gerry Quinn who was injured while playing for Clare in the Division 2 league final. In addition to the doubt about Quinn’s fitness, Corofin are also concerned about the fitness of Paudie Barry and Shane Neylon. “Both were injured in our opening league game and haven’t played since and are a huge loss as is Gerry Quinn. We will give them every chance to be fit,” said Ambrose Heagney of the Corofin management team. “The first game is a priority. This is our third year meeting Crusheen. We played them last year and we also met them in the quarter-final in 2007 and they won both games by four points. Corofin love championship hurling and I expect them to raise their game for this clash,” Heagney added. Arguably their best performance this season was against Éire Óg when their half-back line comprised Darragh Shannon, Dara Clancy and Quinn. The foundations for their win on that occasion were laid in this sector. Shannon, Clancy, Luke O’Loughlin, the Heagney brothers and Patrick Ryan will be hoping to cause a surprise but the Dillon brothers, Donal Tuohy, Pat Vaughan, Fergus Kennedy and the O’Donnells should be strong enough to see Crusheen make a winning start.